A small package sat on the dining room table for days before I realized it was addressed to me and not to my sweetheart who loves to acquire things online and have them come to our door. I opened it up and found this little gem. How nice and not fall/wintery is the bright green of Virginia Scotchie’s Chrome Ball/Knob?!! The funny thing with print is that once a waiver is signed, an image can be reused without further consent. 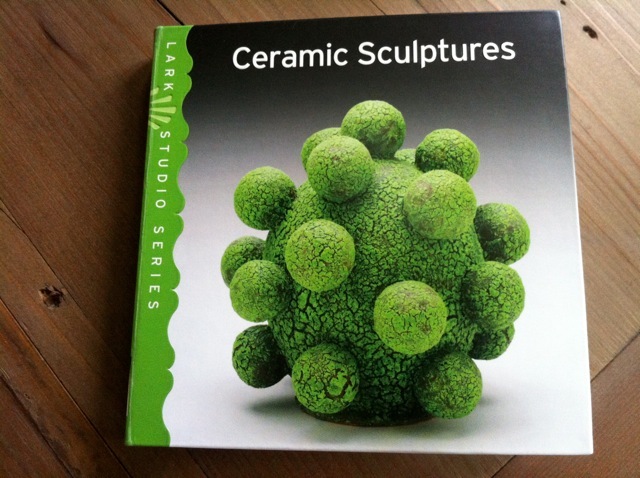 In 2009 Lark Books published 500 Ceramic Sculptures including 2 of my pieces. 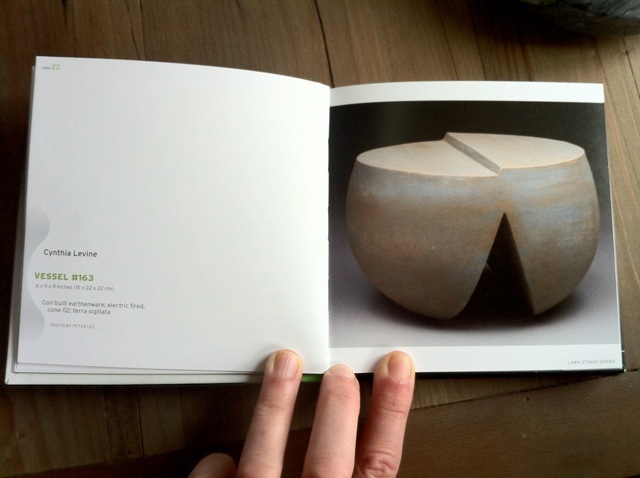 I had no idea they were making a Studio Series of Ceramic Sculptures, so it was a fun surprise to open the book and look for an image of my work in the new publication. 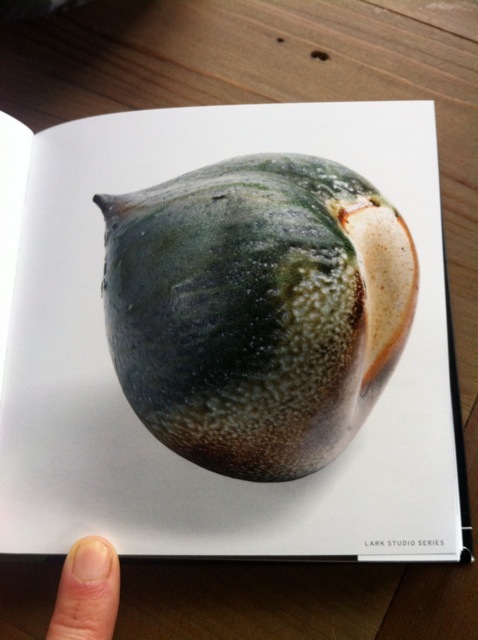 Vessel # 163 is on page 22. I’m honored to be sandwiched between Ken Eastman and Eva Kwong, who happens to have made one of my favorites works in the book. This is her Buckeye Peach from the Immortal Peach Series. I also really like Siddiq Khan’s Cipher C. That yellow! 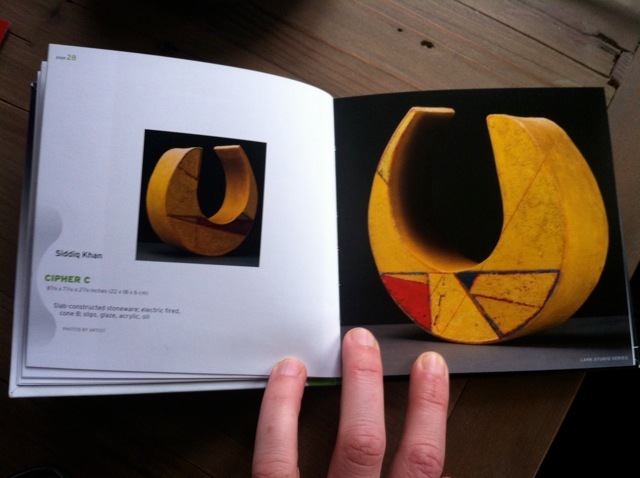 The images are, of course, much better seen when holding the book in your own hands. You can buy it here. Your coffee table will love you for it. This entry was posted on Tuesday, October 25th, 2011 at 9:08 am	and is filed under Main. You can follow any responses to this entry through the RSS 2.0 feed. You can skip to the end and leave a response. Pinging is currently not allowed.